Hi and welcome. I'm Chris Halbohm. It is truly a joy and a lot of fun to watch people become better versions of themselves. 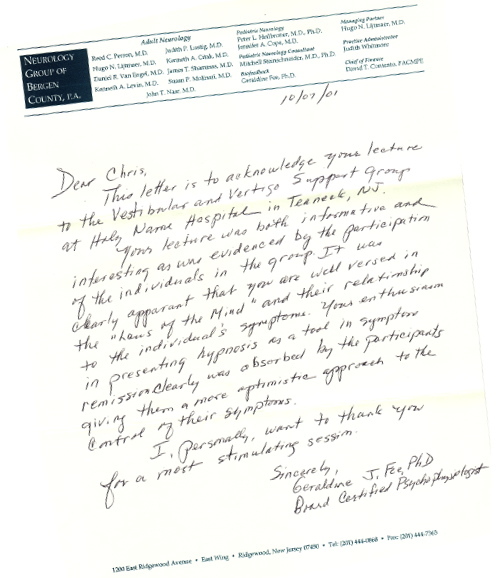 After over 16 years (since 2000) of professional experience in the hypnosis and change-work profession, these are some of the letters, reviews, stories, photos, videos, etc. that make it so rewarding. Please realize that everyone is not the same. Each individual's story is their own personal experience. These folks share their stories openly and freely. They are not compensated for their reviews. They do so with the genuine hope to inspire you and others to take advantage of these unique services. Try to see whether or not you can relate to them and what they went through. Hope you enjoy these folks' stories. Some VIDEOS Are Also Posted At The Bottom Of This Page. Please Scroll All The Way Down To View Them. 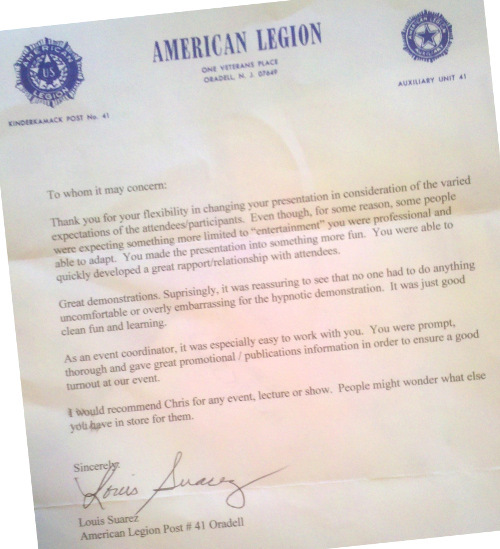 "The program was powerful & uplifting. Chris Halbohm was insightful, observant, & gracious. I thank them for raising my awareness about many hurdles I had constructed in my own path." Wow! I Lost 20 Lbs. of Painful Fat & 12+ Inches! It is Easy, Effective, and Fun! 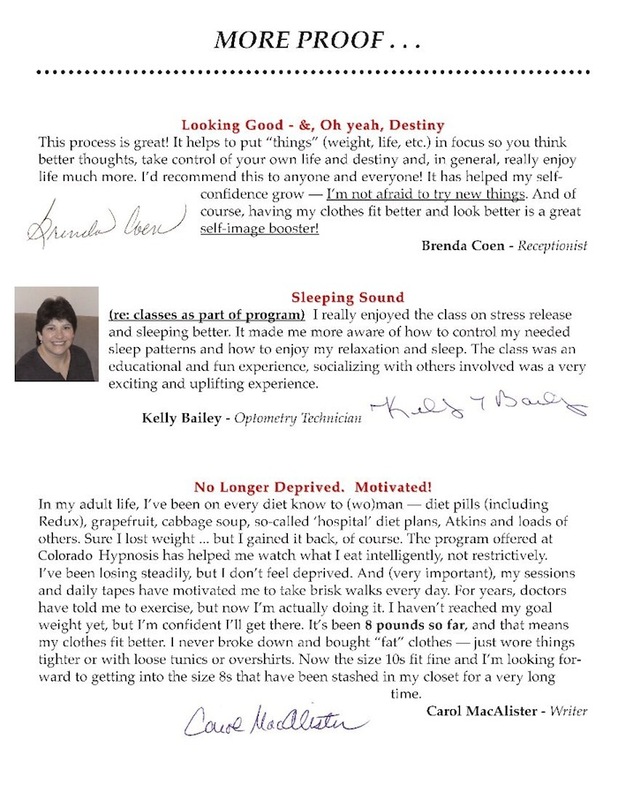 Our Buckeye Hypnosis services have served as a leader among Ohio weight loss clinics and clinics nationwide. The programs that we deliver here have helped thousands of individuals to quit smoking, lose weight, and reduce stress. These folks were in the same shoes as you are when they began. Discover their stories. Not everybody is the same of course, but the patterns of success are. Before, I had to count points. Or you’ve got to look in the restaurant to find.. searching the menu.. for what’s the healthiest. Now, I go and I just naturally can make healthy decisions. Now, just because I’m stressed about something, I don’t need to turn to food. This was easy from the first day. For the free screening, I had to look inside and answer some questions about myself. It really made me realize the reasons I did the things I did. I immediately started, before we even did our first session. I was drinking my water again, and just realizing what I was doing to my body. I feel better and am actually laughing more and feel less stressed. So, it was actually very easy. I have a whole different lifestyle. My thought pattern is very different. By the time I hit this summer I’ll be set! I believe it helps you break those chains, break those barriers - whatever it is that’s holding you to it. So, I would definitely recommend hypnosis. We are available for weight loss hypnosis programs as well as quit smoking programs. Confidence, stress relief, and sports are among other popular requests. "I finally quit smoking! Everybody's excited that I have. And now I'm telling people, too. It's kind of weird, because I smoked for 38 years. I would get up a leave in the middle of a conversation. Now, I actually have smelled the nastiness - and think, 'oh! you smell! that's what everybody else was saying that I was smelling like.' Now, I don't have a craving for it. Thank you!" ...AND HAVE KEPT IT OFF FOR OVER 10 YEARS! Having been overweight since childhood I had pretty much accepted that I always would be. Countless attempts to lose weight had failed and I felt like I had run out of options. I desperately wanted to start a family but hesitated because of the risks involved by being overweight. As a last resort I decided to try hypnosis, with the hope of losing enough weight to have a healthy pregnancy. Within just a few months I had lost 85 pounds. I felt great with a renewed energy that I hadn't had in years. I was able to conceive and go through the entire pregnancy without any health concerns - no high blood pressure, no diabetes, no bed rest at all for the entire 9 months and I only gained 17 pounds during the pregnancy. Within three weeks after delivery of my perfectly healthy baby I was back in my pre-pregnancy jeans. Hypnosis was a definite success! The methods learned during the sessions are still helpful. Hypnosis is no longer considered a last resort for me, it's part of my lifestyle. We have spoken for and donated speaking for many groups both public and private. 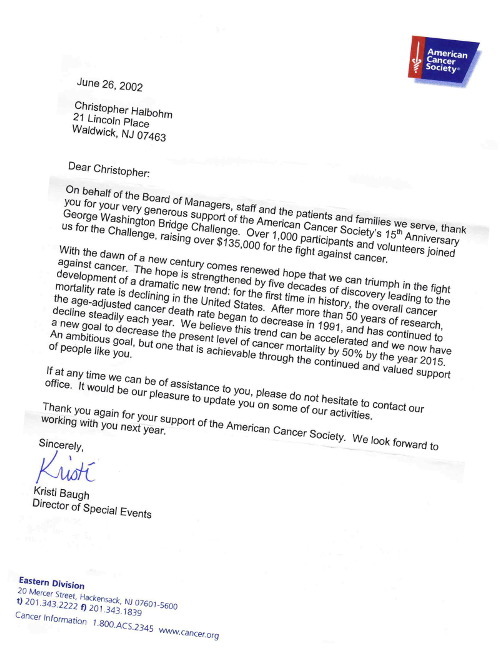 Those groups have ranged from local service clubs such as Kiwanis, Lions, and Rotary, churches, and support groups to corporations, universities, and government agencies. Reviews that we use are real people in the community, who were once just like you. These are real people that we know personally, and that you may know or go to church with. You may know some of them through co-workers or family friends and so on. 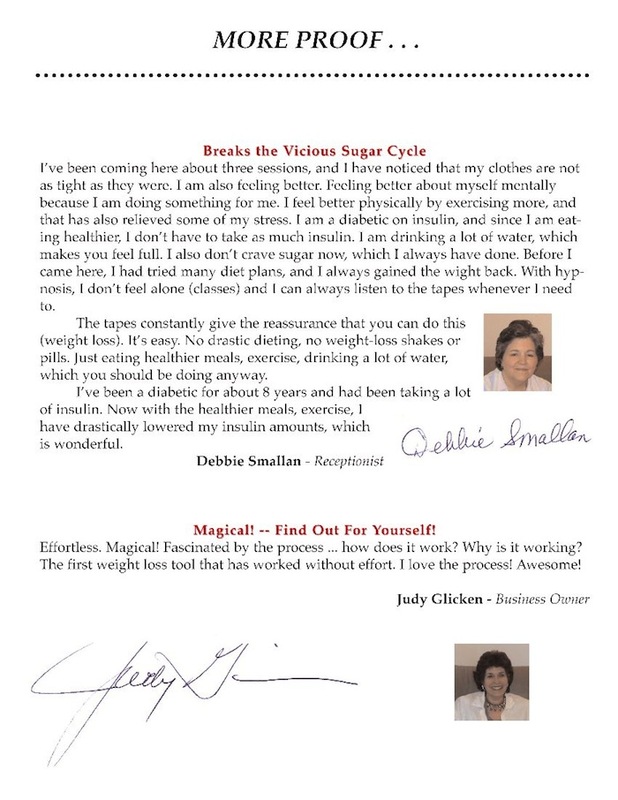 They are happy and excited to share their Quit Smoking or Weight Loss success stories with you because they hope that it will help you to build a road-map in your mind of exactly the thoughts, actions, and behaviors as well as the attitudes, beliefs, and values that you need to succeed. You too can join the family of successful clients, and soon, one day, you too may be one of these stories, sharing your own personal Quit Smoking or Weight Loss success story. That’s 4 Pant Sizes and 1 Shirt Size For Me! I’m John Kovalcin. I’m in sales. Hi. I’m Rachel Manento. I’m a Registered Nurse. I hated the way I looked and felt. I hated shopping for clothes. It was an effort to get dressed and go out. Low energy. I wasn’t able to do things with my children. Life was chore. I felt I had tried everything else - food diets, liquid diets, pills, a nutritionist, and so on. When I first came them, I figured I had nothing to lose but pounds. My screening was amazing. We discussed that I would never use the word “diet” again. That was music to my ears. I knew in my heart that I was going to succeed. I did everything they told me to do, and here I am 40 pounds lighter. …With more energy & confidence than I ever had. Since my first session, I have the drive inside me to change and succeed. I do not diet any more. I changed the way I think about food. I eat 3 healthy meals a day. Now I know I will never go back to the old me. This has changed my life forever. Now I have a lifestyle that I like - It’s just the beginning for me. It really works. It’s as though the stress and worries are lifted away. A refreshing attitude. Time for me. It’s like a little piece of paradise. If you’re tired of dieting and really, really want to change, go to the hypnosis center. It will give you a whole new lease on life. You deserve a second chance to be the best that you can be. Life has so much to offer, but we have to be willing to take that leap, and success is inevitable. It will change your life forever. I Lost 32 Painful Pounds And Got My Life Back! 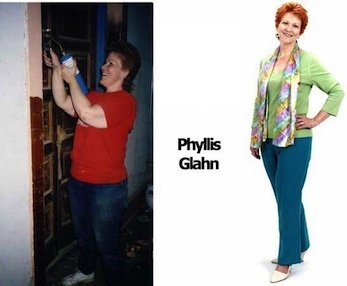 My name is Phyllis Glahn. I’m 53 and live with my husband Ken. I’ve lost 32 Pounds. I’ve gone from a 16 to an 8/10 – That’s about 4 –5 sizes… a big deal for me… I’d never been an 8 before… You may know me as pastor; I have a masters degree plus – I’ve been a teacher, I’ve been a small business owner, and now I’ve answered a call to ministry, and I’ve been a pastor for several years, I’m over 50 years old. You wouldn’t think at this point in my life that I would be interested, concerned, upset about how I look. I would put weight on and take it off again, put weight on, take it off. It’s very very scary to think you can’t be in control of your OWN person. In ’85 I had a gastric bypass… I used to be really big – I weighted as much as 255. [But] the stomach stretched [back] out, and my eating habits didn’t change. No one had suggested hypnosis to me. A lot of my eating was comfort eating and that I just like food. Let’s face it! My biggest thing was sweet and salt. I didn’t have the control. If you had a bag of chocolates, I’d have to eat the [entire] bag. After the Holiday party, I’d have to eat the 3 pieces of fudge left so I could wash the plate. This is how you get to weigh 255 pounds real quick. What a terrible way to live your life! Get the concept? Society teaches us that appearance is NOT the way to value yourself – but all you have to do is be the "fat" girl in class – all you have to is be the person who doesn’t get the job because your appearance turns people off. Everything I was told when I came in for my screening made sense. Right after the first session I started being thirsty – [which] surprised me. I did everything they told me to do – so, I listened to my CD’s every night. Now… I’ve been on enough diets that I knew exactly the kinds of foods I needed to eat. What was so magical, spiritual, “of wonder” was that all of a sudden I COULD. That was amazing! It wasn’t a strain. I could [just] walk by the candy bars in the store. And it’s not because I’m thinking, ”don’t do that, you’re going to get fat.” It’s because I simply did not have the desire. I was having a good time I can go out to dinner and not feel put upon. I like my salad without dressing!! Started taking some lunches with me. Apples, bananas, and water - are my big staple. For me, the biggest thing has been seeing the clothes change. I’m a better counselor now, too. I’m proud that I made the decision to come. It changed my mindset - For me that was the amazing part of it. That’s why this program understood how I was stuck more than anything else did. You really have to want to do this. It wasn’t that I was having to fight with myself any more… and lose. There’s only one me now. I can’t TELL you how much fun this has been. You can do it, because YOU ARE in control. It’s more realistic & obtainable than you may think. Encouragement. It looked and sounded like a reasonable program. Fees were very VERY reasonable. And it has followed through to be everything I thought it looked like it was going to be. I can come back here [if I need it] for assistance and help for the rest of my life. And because, you haven’t done something stupid like say you’re only gonna have no carbs for the rest of your life – so all you’re gonna do is have meat & salad or you’re gonna eliminate… - No – I get to eat everything I want – a little bit – sometime – or – I may even splurge today – I’m not a fanatic about anything. I can live with that for the rest of my life. And be happy and satisfied and in control. YOU can be HAPPY living with that. Society doesn’t control me – food doesn’t control me. I’m not getting obsessed. And I’ve talked to others for whom it’s worked. And I’ve been reading more & more lately about – in reputable magazines & books that more & more doctors more and more scientists are showing that hypnotism is very helpful in a lot of areas. And if you’re considering this, it’s better to take the chance than to miss the opportunity. Call TODAY for your free screening and get started on a happier life! The reviews shown are specifically only the experience of the client in the review. They share their personal stories openly and freely and they are not compensated. Individual results vary. Each individual is different as is each one’s individual result. Success is dependent on many variables, including the client's attitude, respect, motivation, and follow-through. A typical / general client may expect many different types of results, including possibly better than those stated here, somewhere in the middle, or no results whatsoever. The client in the review has sincerely and earnestly followed the steps given by the trainers. "I hated the stigma of smoking. Each year, I felt worn down more and more. I tried several things. Now, I don't miss it! I am 100% in control. Feels great! I'm able to do more things outdoors. If I can kick this after 40 years. . . look out!. . . 'what else can I accomplish?'. . . If you really want to quit, do it! Go ahead and get started..."
"I would eat because I didn't know how else to cope. ...and gained a lot of weight. Now, I no longer eat to deal with stress. Better choices about food! My blood sugar levels improving, and I have more energy!" Hi. My name is Revonda. 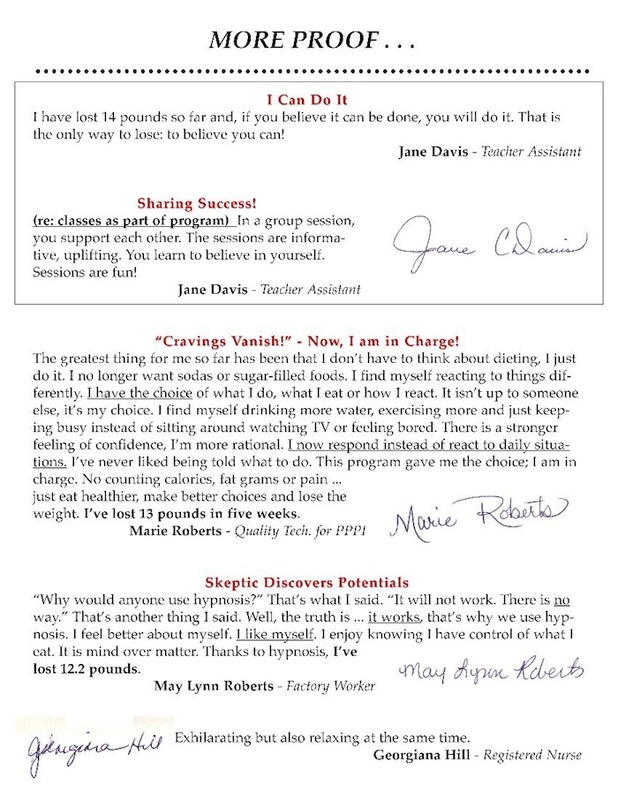 I lost 47 pounds with hypnosis, and then I took the certification training, too! I loved to eat, and it didn’t matter that I actually felt full way before I quit eating. It made me feel slow and tired - sluggish. I ‘d just go somewhere and sit down because I felt bad. You don’t care if you see other people or not and you’re kinda bummed out all the time. You get to where you don’t have as much self-esteem or will power. I saw the ad and called right away. I decided, “Now’s the time in my life to do things for myself.” After just my first session, I immediately started wanting different things to eat. I’m a lot happier – more energy. The day seems to go easier. My skin feels different. It’s so simple & easy to follow. I’m stronger now, and I get out more. I’ve met other people who are succeeding, here, too. Someday you have to live within the real world and eat normal, regular food. You DO have a choice. It’s all right here for you! Once I made the initial fee, I saved about as much from fewer groceries and rented movies. I believe you can do it, because, it’s something you can actually stay with and do from then on. You can go back to the pain and hassle or you can call for your free screening today. I am happy to see more clients getting involved. If you want to feel better and be happier with yourself and life around you, this is the way to go because it’s simple, it’s easy, and it’s effective. "Feeling much better about myself and the results are showing! Walking and biking every day and enjoying it - making it a part of my daily routine. No more fast food! Bottled water in my car at all times." "I no longer feel like a victim! I don't have to smoke to feel good about myself. I don't need to go have a cigarette to take a 'time out' and escape. I don't need to look for a reason to go hide. I now can breathe fresh air. I can now go anywhere I want to go and stay as long as I want! I am in control of my life. I truly am walking on the lighted path with God." "Now I have more confidence, less stress - I have changed. If you truly have a goal that you've been afraid to attempt, or fears, then you can trust that you can come here…"
"I have gone from a case of coke a week down to 2 cans a week. I have lost about 10 lbs. and 1 1/2" around the waist. I followed the directions and I know if I keep doing so, I will keep losing more weight!" "I am already feeling and realizing differences. I go to the grocery store and don't go get a cookie from the bakery. I didn't even realize it until I got to my truck. I go out to eat and have no desire for deserts or alcohol. I eat about 1/2 my meals - I get 2 for 1!! My sister brought a coffee cake that I have eaten before and I took 2 bites and didn't want any more. I'm also not making excuses for not working out! This is so easy. All I have done is kept my appointments and listened..."
"I have a much more positive view of myself and am excited for the new me. 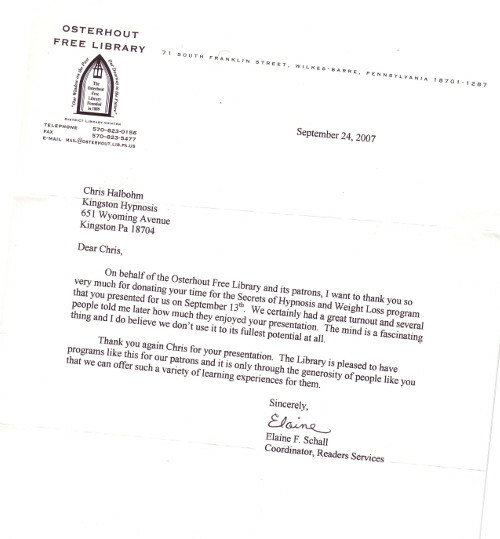 Thanks Chris!" "Thanks to this, I look forward to living smoke free after 35 years." "This has taken my self-image and attitude to new heights. My fears and criticisms inside my thoughts have been forgotten and are now replaced with motivation and enthusiasm every day. I look forward to socializing and expressing myself with confidence. It has helped me to find my playful self. I like myself and feel calm in all situations. It is a joy to take care of my body with the proper food and a regimen of daily exercise. I am no longer abusive to my mind or body. This has taught me to be kind to myself so I can help those around me in a mature and confident manner." "I am so grateful for this! After only 3 sessions of weight loss and listening daily to my weight loss CD, I am able to wear my belts one hole smaller! I am enthusiastic about my daily exercise routine and look forward to preparing smaller-portioned, healthy meals. I feel great and in control of my life!" "I came here to do a news story about hypnosis and was curious to discover how it could help me lose weight. Turns out my weight wasn't the issue; it was my mind! Now I am looking forward to seeing how changing my mindset will improve all aspects of my life, from my weight, to my career, and in my personal relationships. I'll admit I was nervous at first and even a little skeptical, but I feel that even after my first session, I already have a better grasp on life and who I am. This was far above my expectations. I really thought I was just going to be doing a news story. I already feel like a giant weight has been lifted off my chest that I've been carrying around for years. Thank you." "This has helped me see that losing weight can be fun! I look forward to my next sessions to see what they will teach me and what new skills I will learn to help me on this journey. I now have the motivation to exercise, to make the correct food choices, and drink more water! I now know that I CAN DO THIS!" "I came to this for help with stopping biting my fingernails - which really was just a symptom of an overstressed, perfectionist mentality. They helped me develop a better set of tools for coping with stress as well as giving me permission to relax, slow down, flow, and create boundaries to have a healthier lifestyle. I am very excited to have fingernails, now, that I can paint and not hide my hands. I find now I can sit still and focus and not fidget, but just be. The process has definitely been worth it!" "They have a wealth of knowledge to share. I have learned and continue to learn so much about myself and others. This teaching has helped me to be accountable in growing my business as well as enjoying the process along the way. While meeting with Chris individually and/or in a group, I continue to see the value of his training and suggestions for me both personally and professionally. During today's gathering, I realized some useful tools… I feel like he is unlocking learning and expanding on it all at the same time. Good stuff!" "Absolutely the last 'weight loss' program you will ever go through! The lasting Freedom to eat nutrition-laden foods, and, yes!, actually push away the fats & sugars - which have always been a part of your life! Imagine waking up 'craving' exercise, water, and healthy food!! Does it work? For me - absolutely - in the first sessions - am in clothes too tight and down 6 1/2"! EASY! PAIN FREE! Fun! Put your trust in this and it will work for you too!" "I am excited to say I've lost 2" at my waist, hips, & abs. I enjoy my daily walks and they are now a part of my life. I know the goals I set are happening before my eyes. It's easy & FUN." "I am feeling and realizing differences. I have noticed that I go to the grocery store + don't get a cookie from the bakery. I didn't even realize it until I got to my truck. I go out to eat + have no desire for alcohol. I eat about 1/2 of my meals that I order. I get 2 meals for 1!! My sister brought a coffee cake that I have eaten before + I took 2 bites + didn't want any more. This is so easy. All I have done is kept my appointments + listened to the CDs. I am also not making excuses for not working out!" "I came to this to quit smoking, which I have been 7 days a fresh air breather. It's not as hard as I thought it would be. I feel better, do not cough as much. It has been easy. I used to get upset and would lose my cool over little things, but this has shown me how to relax, be humble, and I'm learning to be a person again. To open up and be myself. I would recommend this course to anyone that needs to stop smoking and respect themselves and others." "Being an entrepreneur and being responsible for my business's success can be overwhelming at times. The daily pressures of making sales, servicing my clients, and managing employees lead me here to help me make changes in myself to be a better business owner with more confidence, more empathy, less procrastination, and personal satisfaction with my life." "This will change how you feel about hypnosis. You will gain respect for yourself as they help you gain back control over areas that you want to change. Trust this to help you gain control over what you feel helpless to change. It works." "I have lost 7 1/2 inches overall, with 1 1/2" gone forever from my waist. I am excited to see what the future holds for me. This works, even with the the limitations of plantar fasciitis. I am still down in inches and I feel great. I feel lighter. My clothes are loser, and I am reaching back farther into my closet for clothes I have not worn in a while. I feel as though a heavy blanket has been lifted. I look forward to my time with the CDs because I am better and brighter just by listening and allowing myself to reach and be the new me. I have a life to live just for me - no more 'waiting until…' - My time is now!" "I came here with no self confidence & didn't care about my appearance. I had given up on trying to look attractive and thinner. I learned a lot about my inner turmoils and why I felt the way I did about myself. Now, I feel a lot better about myself and my appearance. I am doing things to make myself proud. I had been to counselors and hypnotists before, but I learned more about myself and he knew me better than all of those counselors. He helped me so much more. I wanted to change for the better and be better the rest of my life and he is giving me the tools to do that. I am so glad I came to him and he agreed to work with me. I have lost inches and have more energy now. I don't just sit on the couch all the time. Thank you Chris Halbohm." "Living while being compulsed to disrespect my values and desires with behaviors I did not approve of had become a nightmare. The feelings of weakness and despair made it very hard to bring any joy or lightness to my relationships with the people I love. My program helped me to turn the volume down on my inner conflicts, leaving my compulsive 'need' to sedate myself just sitting there alone. Being able to destroy this [habit] is huge for me. There are so many more good and lovely things to see and feel when you are not trying to justify your life from a position of disrespect. I would recommend their guidance to anyone dealing with will-power issues that are causing major discomfort in your life. With the desire to heal it, it shouldn't be hard at all." "The class gave me, as my sessions always do, a place to hear the best thing I can do for myself right now. Their words give me clarity as to what my responsibility is to myself this day and that I am foolish to let that out of my sight in favor of the normal mind-stuff that keeps me from experiencing my desires for respect, humility, and the grace and guidance that comes from practicing those virtues." "The sessions at the hypnosis center have been amazing. I know that when I leave, I will be focused on what it is I need to do. Each time it is a different focus that is deeper and clearer than before, almost like I have spent a whole weekend class or training, but in just an hour or so. They are very wise and committed and clearly have the skills and integrity to take their clients where they want to go and do not send people off 'half-baked'. If you are committed to the changes you wish for, they will devote their time to seeing you arrive there. That is priceless. Good luck and God bless you." "I was tied to smoking, at a cost of $10-$15 per day - an expense that was getting harder to maintain with our current economy. I now have money in my pocket that can go to other things + am no longer tied to cigars. Also, I am more motivated, not so sluggish, and can breathe easier. It was somewhat hard at first, but by listening to the CD + by reading the card day by day it gets easier. I don't miss the smoking at all + am glad to be a Tobacco Free Person." "After the very first session, cravings were diminished and I stayed on track on exercise. Looking forward to more reinforcement for positive living." "Starting hypnosis has shown me a lot. I feel more balanced, able to control my feelings and relate to people better. My health has gotten better + eating has improved. I feel like I am on the path God wants for me again, and am filled with hope." 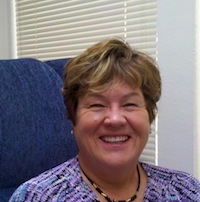 "My experience at the hypnosis center has been an opportunity to jump back on the path where God would like me to be. I am being helped to live to my full potential, embrace life, not be afraid, and focus intensely on the purpose God has for my life. I feel that Christians have an unfounded fear of hypnosis and believe that it is in some way offensive to the Lord, afraid that you have to give up control of your mind. However, with Chris's techniques, that couldn't be further from the truth! I don't feel in any way that I am out of control of my mind. In fact, I feel sharper and more equipped to handle stress and remain emotionally stable. 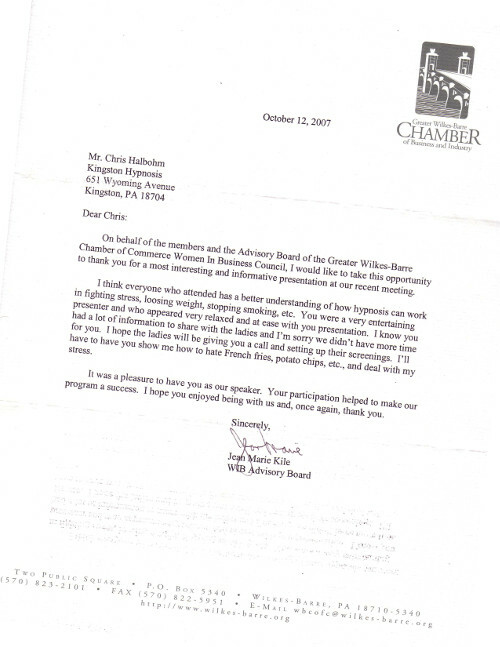 Chris operates with a high level of integrity. God had lead me to be involved with hypnosis for very good reasons!" "Feel very relaxed + refreshed. I learned so much about myself + feelings that I didn't know I had. I feel very confident that I am leaving today with the knowledge that I need to succeed not only with weight loss, but also in other areas of my life. I would like to express my appreciation and heartfelt thanks to this for allowing me to explore different avenues to a successful + healthy life." "Thank you for suggesting to work on my patience. I've noticed some improvement and I don't get irritated at my husband as easily anymore. Looking forward to more and better changes in my life." "Wow! Never have I felt so relaxed and peaceful. This was not what I expected. This approach to starting my weight loss journey was about truth. I will use this to learn control. Thank you all!" "Less stressed, following directions, more enthusiastic about motivation. Feel calmer. Drinking more water than before (craving). Better decisions with eating habits. Seeing a better and improved me." "I lost 62 Pounds! I'm not alone anymore!" "When I first decided to try hypnosis, before I come in I felt so depressed I was desperate to get some kind of help. And of course, I came and I started to feel better almost from the first day I started. It is a wonderful program, you not only begin to lose weight, your attitude changes, you are happy - you have more energy - It is hard to describe. Your health is greatly improved. Your appearance is improved and you are a much happier - healthy person." "Every time I come to a class I learn more and more. It was very interesting and at all of the classes you pick up ideas that will make what you want to learn easier - more fun. Chris is an excellent instructor and the time flies by - when you return home you realize not only did you have fun but you learned another little bit of information that you will be able to use." "To feel the want to do more, learn why, and have fun. Having the hands on… Great! Refreshing. I am standing much taller in my shoes. I feel good, strong and happy. I want to keep moving along, looking for more adventure. Just six weeks ago I had jeans that I was unable to come close to button or zip. I pulled them out over the weekend and wore both pairs. It wasn't a struggle to zip nor was I uncomfortable while wearing. I measured myself after six weeks. I lost 18 1/2" total, but put 3/4 total up in my calves. That isn't a problem since I just started running one week ago. My message to me… YOU GO GIRL!!!" "My motivation to lose weight before joining this was like a light switch. On or off. I would be doing great and then get upset at someone or about something and start eating again. In my family you were taught through a sort of auto programming to 'FEED YOUR NERVES'. But, there was just something about that way of life that seemed wrong, but in our culture you live by what you were taught. And it did feel good at the moment until the guilt set in. I wanted to change. I needed to change. Then I saw the ad in the newspaper. This has opened my eyes to a whole new world. I don't 'FEED MY NERVES' anymore. After just a few weeks working with them, I started experiencing motivation at a new level. Proper food choices have become spontaneous. What a wonderful feeling to be free of the diet roller coaster I have been riding my whole life. My confidence in myself is outstanding. I like that through self hypnosis I am able to slowly change my beliefs. And I no longer punish myself for indulging in a little snack now and then; it's called 'Cheating on Purpose' now. Ask them about it." "This process is so amazing to me! I recently had an extremely stressful period … family illness, family drama, etc. In the middle of all of the tension I realized that in the past my choice would have been to be in the refrigerator and the snack cabinet. However, now things are very different. My thoughts went to relaxing breaths and de-stressing - not eating. It was easy and truly without thought. Automatic. What a great feeling! While I had little control over circumstances, I had total control over my choices. I felt so good about myself. My progress has been slow and steady. I haven't lost a lot of weight at this time (though I know it is coming!) but I have fixed so much in my heart and my head. I loved this [particular] session because I was given permission not to be perfect. A slight 'bobble' does not have to compromise your confidence or your ability to take action. I also learned that the left and right brain really can work together.Please, please, please don't hesitate to do this. It is life changing. If I can do this, anyone can. This program has given me the opportunity to be reacquainted with me. I am finding that I am a good person, capable of and deserving of love. I am on my way to liking myself for the first time in a very long time." "Enjoy the sessions, cannot believe how helpful they are. Sleeping much better, more relaxed. Eating smaller portions. Having a positive attitude. Being more active in daily routine. Liking myself better. No urge to eat junk food or eat between meals. Drinking more water. I have more confidence in myself. Change of attitude. No more picking & binging. Leaving food on plate. Picking the right kind of foods. Reducing fat intake." "I did not know what to expect, but came away with more that I could imagine. So much of it made sense when I really thought about it. I met several very nice people and we went on a journey of knowledge. One of the concepts I got was the idea of pushing against the wall and believing it would move. I had done that most of my life thinking if I pushed hard enough at something I could change it. But just like the wall nothing changes with pushing. Results come from letting go." 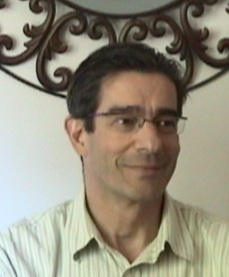 "As I started this process I had to put up with the skeptics about hypnosis. After a week or two, my wife started noticing that I was not eating as much at dinner time and that I was not finishing my lunch, but my water jug (1 gal) was always empty. And for the most part, I did not crave sweets and empty carbs (candy). I'm 30lbs lighter. And I am still learning how to change my life. It takes time to break old habits; hypnosis gives me the insight and helps me with my will power issues." "This program is what I've looked for, the support I needed to deal with weight I had gained through 'emotional eating' during the last five years. What a relief to find such help - I know I could do it on my own with lots of hard work and concentration, but, wow, this program has made it easy and actually fun. I've lost 18 pounds and know I will continue to lose it, feeling great & eating healthy with no cravings! That's really something and I am thrilled. Thanks." "The lecture on speeding metabolism & enjoying exercise was well worth the relatively small investment of time! Useful, practical information was shared by Chris, as well as the group, in a positive, supportive and fun atmosphere. We didn't just learn, we applied the information and will now be able to integrate it into our lives. We got the best of both worlds of education and enjoyment." "The first thing I noticed, in only my second week, was my level of self confidence and self-esteem had risen! Not by leaps and bounds, of course, but enough that I was able to latch onto it, so to speak, and focus on how good it felt and was consequently motivated to keep working on myself through hypnosis and to put even more energy into the process. I also realized that I was effortlessly making healthy food choices and enjoying the foods I ate. Hard to believe, I know but it's the truth. Also, it was taking me a lot longer to eat a reasonable amount of food, which helped me to ultimately eat less because my stomach then had time to signal my brain that it was full before I could over-eat and then feel uncomfortably full. Another big plus is I no longer have uncontrollable cravings for sweets and in particular - chocolate. And the few times I have eaten it, it has not been in excess. That alone is a minor miracle for me! I can't wait to learn more!" 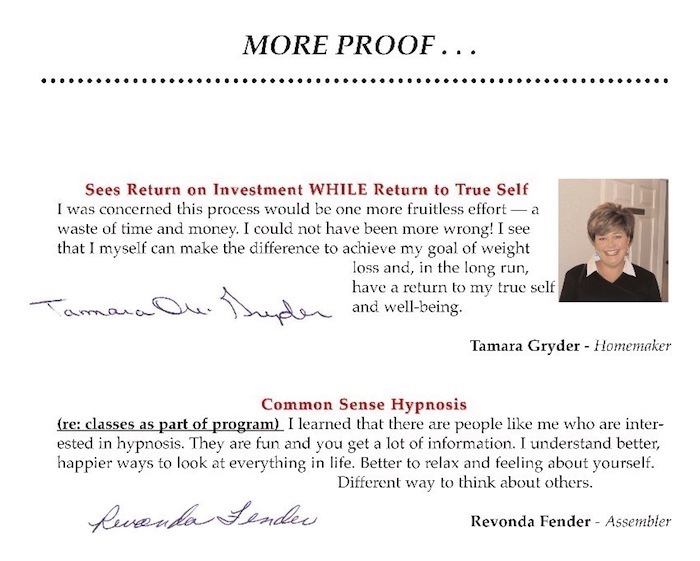 "Looking back over the past few weeks of my life (since I began this hypnosis training) I realize that this training has been invaluable to me in providing crucial levels of self-confidence and self awareness at extremely critical moments. I can see where my behavior has become not only much more productive, but my newly acquired mind set and emotional and intellectual skills have literally saved me from making drastically negative decisions and behaving in a totally counter-productive manner. And I thank God for this liberating knowledge and experience; I also look forward to progressing and increasing my knowledge and awareness in these areas." "I am now into my fourth session and have never felt better. The stress and anxiety that I have felt in the past and am taking medication for 'ARE' melting away. I have developed self control about all aspects of my life from eating healthy and exercising to sleeping better at night. For anyone needing help with getting back on 'track' I would recommend hypnosis. It is working for me!" "This has been an amazing effortless, intelligent way to accomplish what I set out to do. I came here to try and get control over my thoughts that were detrimental to my health - both physical and mental. For the past ten years since my son died, I have been unable to really think about him without falling unto a pit. Now I can look at his picture, remember, smile and go on. I feel like it's OK to be happy and to enjoy my life. It's what I'm on earth to do! As for weight, I have a relationship with food that I thought impossible. The amazing part is how easy it is to eat healthy, exercise and actually enjoy it! This is the best I've felt about myself and my life in 10 years. Can't thank Chris enough for this!" "Am very satisfied doing the hypnosis program. I am making better choices in the food line. I am feeling much healthier leaving the 'junk' food on the shelves. I make more and better decisions on the amount of food I choose and the times I eat. Hypnosis has definitely helped my mood. It is anything but difficult - actually look forward to the sessions with them." "I feel as if I have been in a cage and now I have been let out. Whatever my mind can imagine, I can do. I'm determined to do it." "I have been a cigarette smoker for 30 years, they helped me kick a two pack a day habit, something I could not do on my own. Even with the use prescription medication for the purpose. Hypnosis was my last resort before giving up on quitting. All I came with was the will to quit and an open mind. It worked for me, I am now Nicotine Free! P.S. Thank you." "In my past my self confidence was not rock bottom but definitely needed help. I felt I was being judged not by anyone but myself. Working with Christopher has really helped me feel good about myself and has open many doors for me. I learned to not make life 'so' serious, loosen up and enjoy yourself." "Instead of a cigg. I'd rather have a glass of water. My food tastes better. Hypnosis helps you make decisions you want, rather than making them for you!" Note: We do not hold ourselves out as any form of mental healthcare - See below. "After seven weeks - have lost 10 lbs, feel much better about myself. Have more energy to do things. Want to do more exciting things. This was like grasping for the lost life line in trying to lose weight and about keeping it off by changing my thinking. Take action and doing it." "This has been a blessing for me to be able to relax and know my mind and body better." "This program is a tremendous bargain! The results so far are beyond my prior belief and seeing is believing. The staff is so supportive and have great understanding of me and my progress. It is a pleasure to work with such great people who know what it's like to have struggled so much before with success. I highly recommend this program to anyone - for what it can provide for your total life… A more peaceful, calm way to approach challenges and problems we all face on a daily basis." "This program gives you a chance to focus on self improvement techniques that can benefit you for a lifetime!" "It helps you unlock your true self." "The most surprising thing regarding weight loss through hypnosis is the almost magical changes in your mind regarding eating. Sugar cravings disappeared as well as changing from white rice to a brown & wild rice combination in the no fail bag. Whole wheat spaghetti also came into my life. Surprise! I liked them! Multi grain bread is also a preference now. My body approves as well as showing weight loss. It's magical!" 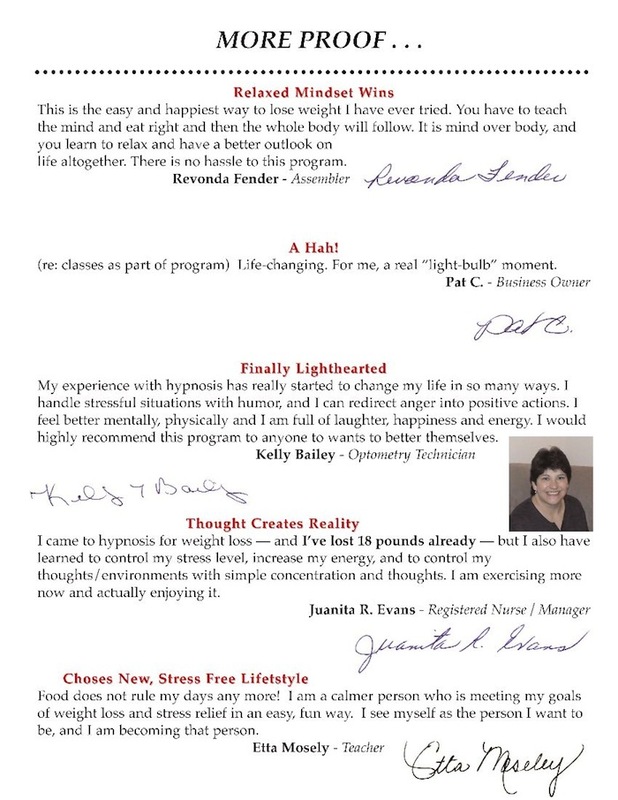 "I started hypnosis weight loss about six weeks ago. Since joining the weight loss program I have lost 21 pounds. The best thing for me is I learned to eat the proper foods and drink water. I have also learned that everyone can exercise and eat right and lose weight. I am more positive about my life and my total goal is to lose a 100 lbs. This has helped me gain confidence in myself and my future in life. One of my favorite things is I tell everyone I don't want to hear the words 'I can't do this' because you can if you want to. The only thing is get off the couch, exercise, eat healthy, and you will succeed." "Just a note to let you know how much 'the classes' have meant to me. It is difficult for me to express how I really feel about these past few weeks. The class sessions have been awesome. They have helped me think about broadening my horizons, enjoying life more fully by not dwelling on the negative and to use my energies to make gradual changes in my everyday living. I wish I could continue with the program indefinitely but know that is not possible. Because of your approach to life and your method of teaching, I will carry with me 'pointers' to enrich my life." "I came here to lose weight which I have started, but I have also learned to relax and not let things upset me. Especially things that are unimportant. I feel better all around." "This has empowered me to be able to put food and eating into a more proper perspective. Fifteen pounds! Yipee!" 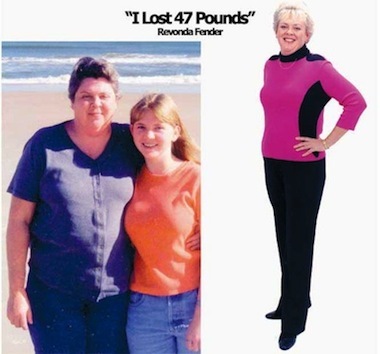 "I have lost about 22lbs. I feel more active and able to enjoy a variety of activities. I look forward to feeling and looking well. My family is proud of me and are very encouraging. This program addressed issues which were keeping me from being fit and happy about myself. I recommend this weight loss method to anyone who wants to accomplish a goal and be happy doing it." 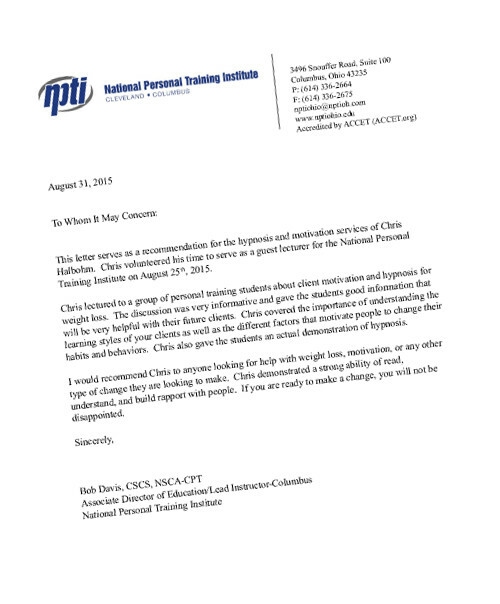 "The program is excellent. I have surprised myself with my change in behavior. My eating habits have totally changed - I leave food when I am full and not stuff myself to 'clean my plate'. I automatically park further away and enjoy the walking to and from my destination. I have lost 17 lbs. without trying. 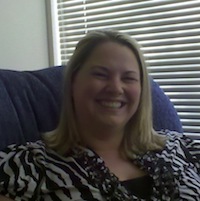 I have benefited in all aspects; more focus and less procrastination with work and home tasks." "I wake up earlier feel refreshed and see myself in a positive way. 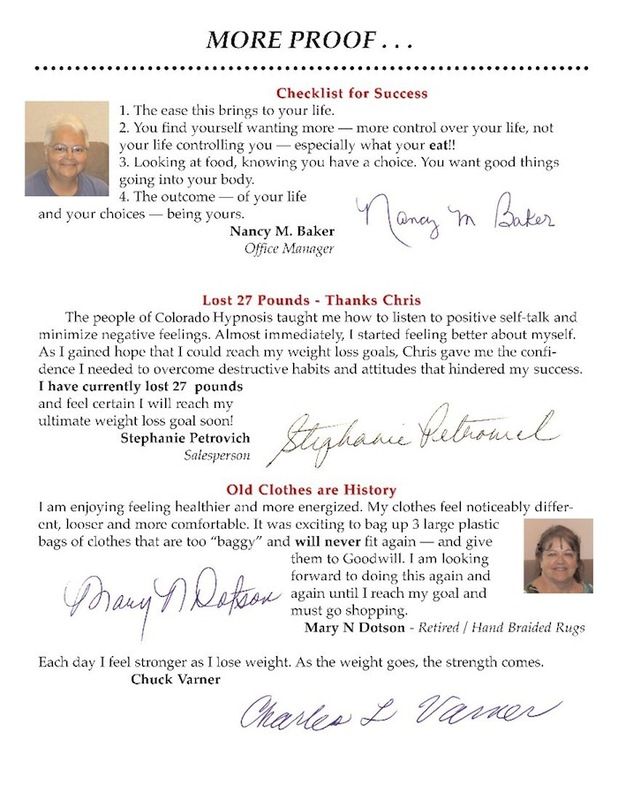 Since beginning with the hypnosis center I have lost 16 pounds and feel fantastically good about my progress. Some of the biggest changes I've made are taking the time to create a menu every week so that my diet is balanced and my mind only has to focus once. For the rest of the week my mind and body know what I'll be eating and I go with it! Success really is in the mind. Creating a great life is constant and it is a process I engage in everyday. There is no excuse for stress." "It feels good to finally appreciate and understand how all components of the body (mental, physical, emotional, and spiritual) come together to make weight loss successful and change the way I approach eating and exercising for positive results. Lost 17/18 lbs to date. Thanks for working with me." "I knew what I needed to do before I came here, but what I got here is the inspiration to do it. I used to question and doubt, but now I feel positive and certain that I can accomplish my weight loss goal." "The relationship class is fun, enlightening and interesting. I like the idea of controlling emotions rather than having them control you." "Studied nutrition, exercise, physiology… I knew what I needed to do to lose weight before I came to here, but what I needed and received here was the inspiration to do it. I don't believe in diets and would never have succeeded with one, but hypnosis makes weight loss simple and easy. I feel like I know the secret to weight loss success, and I want to share it with everyone I know. I feel very motivated, and have more energy than I have had in years. 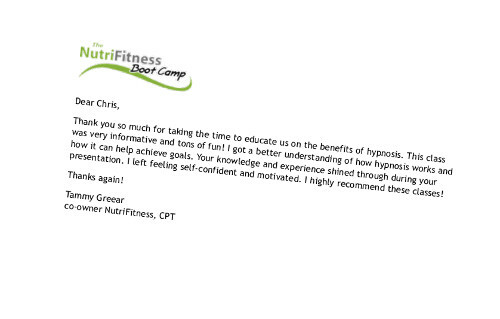 I have made a true lifestyle change with hypnosis." "This has given me a new attitude toward myself. I have been able to lose 16 pounds, walk taller, think clearer. 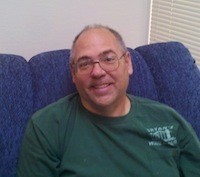 Chris is an important teacher in this area." 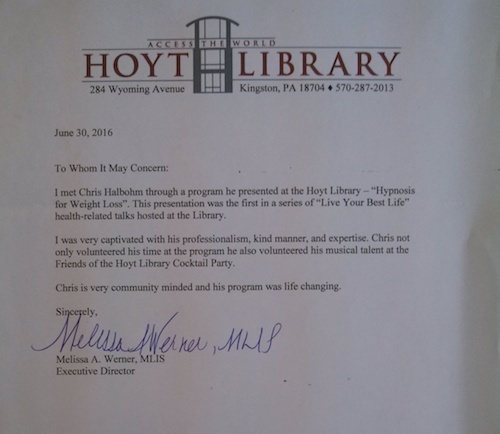 "Chris is a great motivator and teacher. It's really far out to be learning new techniques to help yourself and others. And Chris can help you find the way. You're learning from the best." 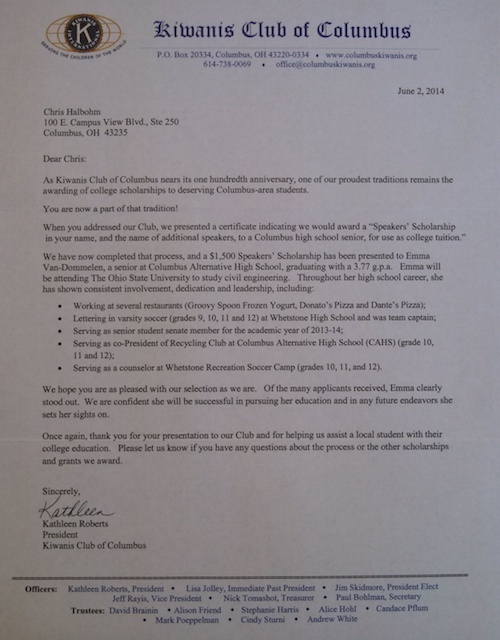 "This was such an easy program to do. Just follow the simple goals that you have set. I lost 23 pounds, feel great, look younger and with my new knowledge, I can continue setting goals. Even though I didn't believe Chris would be able to teach me anything." "Hypnosis has enabled me to change when I want to and to make wise choices. Example: while shopping in a grocery store (due to the conscious level I have) I chose not to buy junk food - instead I left the grocery with fruit. I feel so good about this choice and that I rose above the temptation. I have lost 10 lbs. [Update: lost 19 lbs.]" "The differences I have seen in my attitude regarding food have been subtle yet positive. An example is the ability to not eat when I am not hungry, to eat half sandwich rather than all of it and to eat a grapefruit instead of ice cream. This is encouraging because I have always had a great love affair with food." "Hi Chris. Here, finally, the recommendation. It took awhile to 'pop out' - Feel free to edit as you like or let me know if you were wanting something along a different line… - My experience with this has brought me so much more than I expected when I began to work. In a matter of a few months I have been freed of a 40-year long pattern of binge eating. Just as importantly, I have resolved some key harmful old beliefs that were holding me back on all levels. Now I have a new sense of possibility and awe with respect to what we can heal and can create for the benefit of all. This work is profound yet simple and fun!" "I feel better about myself. I can leave food on my plate and feel good about doing it. I don't crave sweets or soft drinks. I eat healthy and exercise more. I have lost 12 1/2 lbs. This is truly the way to lose weight and be able to keep it off. My energy level is up and I do things that I wouldn't do before." "In the four weeks that I have been coming to my individual sessions and group classes, I have noticed that my pants are loose and my shirts do not pull so as if my buttons are about to pop! I feel great! I have the best attitude that I have ever had about losing weight! My blood pressure has dropped! I am not hungry! What a difference in how I feel! I look forward to what the next four weeks will bring!!" "I am very happy with the results of the program. Have become very aware of the foods and the amount of food I eat. I feel less stress in my life and enjoy the good healthy way of eating. Really enjoy trying new and healthy foods. The time I take for myself to listen to the tapes is very special." "I can make wonderful choices on the things I want to eat - that I know are good ones - healthy - I love the energy level that I have at this point. Looking forward to the weeks to come. I have noticed during the day I have less stress - able to change directions if needed without hesitation. Never thought I could enjoy drinking water. - Water tastes GREAT." "I have felt so good coming to Hypnosis. It is so easy. No starving, just lifestyle change. It's almost a DUH symbol. I have lost 15lbs and about 10 inches. (waist, chest, legs, thighs)." "The class was very informative, funny at times, and it was great to realize that I 'can' succeed, and will succeed. I'm always excited to come, each week to my sessions. It's been quite amazing, the changes that have come about in my life, so far." "I feel as though this hypnosis has been so great. It's wonderful to have the urges for water so abundantly. I hated the taste of water, didn't or wouldn't ever drink it. Now, I don't even think about it. I seem to 'love it' now. I love the fact that my diet has changed as well. I know the weight will come off eventually. The staff are great and so understanding, of what you are going through. The stress level has hugely decreased, as well. Thank you for being here for all of us." "I learned about being more aware of what is happening when being hypnotized. That is all up to me to fast forward the process." "Very Helpful - A reminder to be more focused on the end result you want. Also an enjoyable evening [class]." [Re: class] "Good information - well demonstrated hypnosis can change lives." "Many times over the past 5 weeks, I have caught myself with a relaxed mood instead of a stressed one. This I think is my #1 problem and weight loss will follow with good results if I continue with my relaxation." "Seven weeks ago I started this journey of self-discovery. Thus far I have seen huge changes in how I view food. There are other changes too but this is the most dramatic. I no longer turn to food when I am bored, stressed or feeling bad about myself. I eat to fill a physical hunger. Now, I can't wait for more excitement and success that I know I'll have continuing with this program!" "You're not thinking about being on anything like a diet - It's more of a life change. It just feels good not to beat myself up anymore. I know my metabolism can maintain it. This is the first time I've lost weight and NOT gained it back. It's a program that actually works. You should look into it - Just realize that you're not gonna diet. Lost 37 lbs. & 2 sizes." 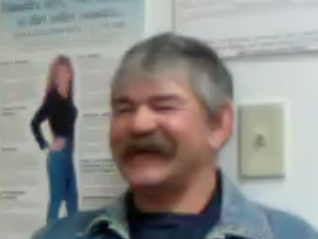 "My experience with Chris has been an eye opening experience. I have come here to learn to break my bad habits of eating and develop new and healthy habits. What has really been a surprise to me was along with my weight loss, I have found out how to relax. Stress for me has been my hidden secret, that I didn't know myself." "I've been coming here about 3 sessions, and I have noticed that my clothes are not as tight as they were. I am also feeling better. Feeling better about myself mentally because I am doing something for me. I feel better physically by experiencing more, and that has also relieved some of my stress. I am a diabetic on insulin, and since I am eating healthier, I don't have to take as much insulin. I am drinking a lot of water which makes you feel full. I also don't crave sugar now, which I always have done." "Before I came here, I had tried many diet plans, and I always gained the weight back. With hypnosis I don't feel alone, and I can always listen to the tapes whenever I need to. The tapes constantly give the reassurance that you can do this - weight loss. It's easy. No drastic dieting, no weight loss shakes or pills. Just eating healthier meals, exercise, drinking a lot of water which you should be doing anyway. I've been a diabetic for about 8 years and had been taking a lot insulin. Now with the healthier meals, exercise, I have drastically lowered my insulin amounts, which is wonderful. [Update] I have lost 20 pounds." "The changes have been slow and steady in terms of wt. loss but the confidence in my ability has grown exponentially." "After finding out what 'NLP' was and how it works. I started to understand more about how relationship building affects all of us all day long. Understanding the situation and becoming flexible enough to respond positively will affect every situation." "I feel that I have lost inches and weight. Although I have not weighed or measured yet, my cravings for sweets has diminished and I want fruits, vegetables and lots of water, instead of tea, cold drinks or fatty foods. I have so much energy and I feel good about myself. I am calm and I don't let other people bother my decision to lose weight and feel better about myself." 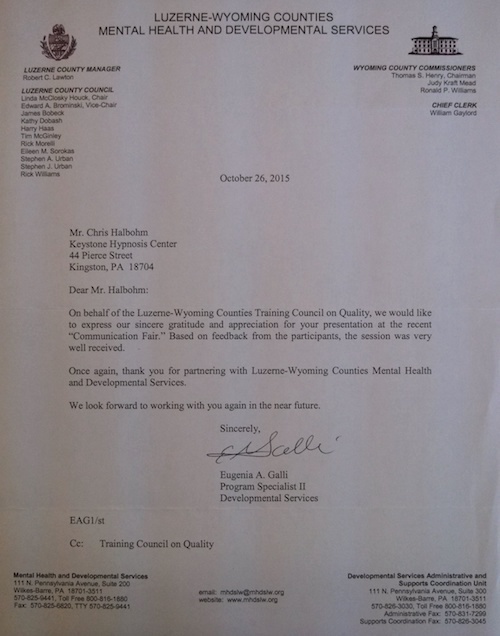 "This program has improved my attitude toward family and friends. I am more outgoing and have loads of energy. My food choices are much better, drinking plenty of water. My weight has been decreasing, I have lost 23 lbs. and about 2 sizes in my clothes. I am excited about my weight loss." "This has been such an easy thing to do for myself. I have been amazed at the results I have gotten in such a short time!" 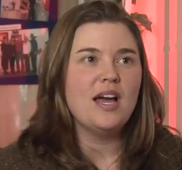 "I enjoyed the class because it taught me more about mind control and relaxing." "Since going thru hypnosis, I have found it easier to make good food choices, not overeat, and exercise regularly. I have lost 15 lbs since going thru the program have become more self confident and have actually learned to like myself." 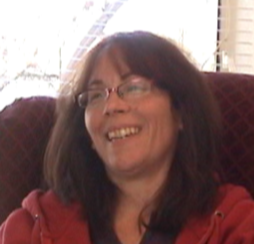 "Self hypnosis was helpful - knowing we can make change happen fast - very good." "Health problems - people notice the smell - easier than I expected - 1st day cravings less - after the 3rd day - hypnosis is key to stopping couldn't have stopped on my own. Had tried several times. Not grumpy or irritable." "After smoking for 32 years and trying to quit multiple times - I looked to hypnosis which was the best thing I've ever done for myself - it has helped me in many ways beside the smoking - just to enjoy life and relax and feel great about myself. I now feel like I have control of myself and the smoking!" "Thanks to this, I have finally been able to quit smoking. I had smoked for aprox. 40 years but, I can now say - I am no longer a slave to cigarettes. Hypnosis is the only way I could have accomplished this." "During this time I had to go into the hospital for an abdominal aneurism repair. I knew, due to what the doctors had told me and because of my previous history that I had to quit smoking. The stop smoking program of hypnosis made the quitting smoking easier for me, mostly because I felt that my subconscious was better prepared for the cessation. I didn't have the overwhelming cravings, which in turn made the whole ordeal easier for me. It was actually the easiest time quitting smoking that I ever had! I found this to be the least troublesome time that I ever had with not wanting to smoke. I had tried several different methods and this was by far the easiest." "I was smoking a pack to a pack and a half a day and had tried to quit several times but kept going back. This hypnosis helped me to quit smoking by changing how I think about smoking. 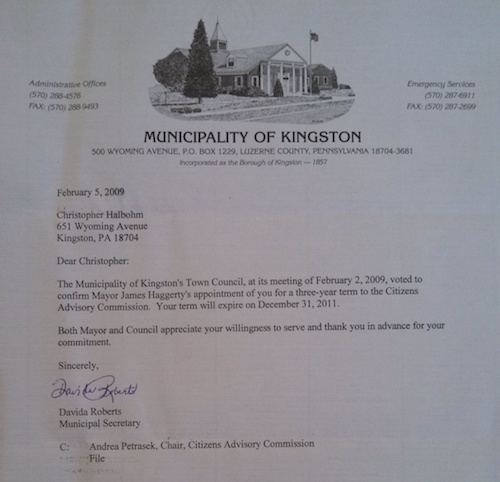 It was a very quick process and was of a reasonable cost. 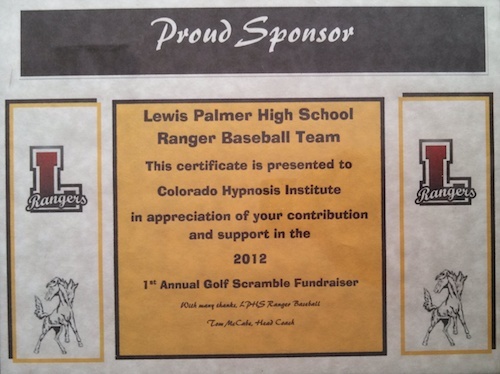 Thank you to the hypnosis center. You changed my life." "I'd smoked for 50 years and had tried to quit because of health reasons. My doctor told me I had to quit. I found the hypnosis to be a very positive thing. It really helped me to focus and get clear. This is a very thoughtful and well-worked-out program. I think the vast majority of smokers could quit with this program if they'd just give it a try!" "Hi. I'm Linda Henderson. I'm 56 years old and have been smoking since I was 15. I tried the patches, smoke away, and wellbutrin - none of these worked. I friend of mine suggested hypnosis so I made the appointment. Quit my 1st visit and have not smoked since which has been 4 weeks now. It has been real easy. I feel the cost of the program was very reasonable. The best money I ever spent. If it had been twice as expensive, it would be worth it. I'd advise anybody to give it a try. I've told everyone I know to give them a call. These people go way beyond what's expected so the client is successful. It's obvious they really care." "I'm amazed after 54 years how easy this has been." "The tools I've learned in these two days are very powerful and will definitely help me and others around me. Classes have been fun! Fun! Fun! These teachings bring me close to success without it being a struggle but only a series of effortless steps in the right direction." "By today I have deepened my understanding of self hypnosis and through the training feel very ready to establish a hypnosis business. Chris's methods are for and very practical. The business model itself is 'turn key' and this helps taking quick action in setting up a center for training and learning." 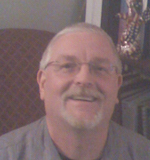 "Great class on self hypnosis - much better understanding. Will allow me to better use this technique." "The class was real informative and cheerful. Chris is a great teacher. Chris, you explain things so well that even I can understand it. You make things fun. I hope we will have more." "I find the classes to be very informing. They stimulate your thinking. Make you more sure of what you need to do to succeed." "This class helped explain why I feel that I am always in a trance." 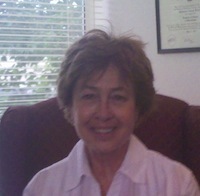 - Sharon Fahrer, Client"Not knowing what to expect. I was pleasantly surprised at how fun the class was. Really enjoyed it!!" "Self Hypnosis & NLP: This class was great. Very energetic. Thank you." "Very illuminating! Such a different way of looking and thinking about things. Also, Chris is funny and entertaining." "The positive reinforcement that exudes from Chris's being and the material he shares inspires belief and empowerment for change and accomplishment of one's goals to create the life and career imagined. Everything is possible is his eyes and his enthusiasm is contagious. Sooner or later you get it. If it's to be, it's up to me." "It was fun. Learned how to hypnotize someone - it's easy to learn." "Coming to the Institute has been a life changing event for me. I was very skeptical initially, but I am 100% convinced that I have learned to use the tools I've learned here to successfully lose all my excess weight. I am convinced I will succeed and be a healthier person." - Sam Y., Automotive V.P. NOTICE: Reviews given are specifically the experience of the client in the review. They share their stories open and freely. No guarantee of monetary results. I tried other methods to stop. Finally this one helped me GET BACK CONTROL by reducing my cravings. Now, I will never have a problem with smoking again. I Quit Over a Pack a day after 50 Years. Here, I felt like I could quit. I feel good. My family’s real happy, I’m more relaxed and happy about it. "I lost 15 pounds . When I went to my screening, I felt that this was the one and only thing that would actually work for me. Everything's fun about it. IF they'll take you as a client, they even give you a written guarantee." "I lost 23 pounds. I've been with the hypnosis center for [time] now and have learned to relax and deal with stress in a whole new way. My self-esteem has now skyrocketed, and my ability to deal with things has totally changed. I am on a quest. Instead of eating when I'm upset, I just relax. Relaxing here helps me to relax at home in a lot of ways Thanks." "I think this is great for anyone who is looking at changing 'stuff that doesn't work' in their lives - It's meaningful, easy, and very motivational... It should be part of teaching students K thru 12. You CAN really make a change with one seminar with this - It's pain free and it works." "I am confident that I will be able to keep the weight off because of the simple, sensible way I lost the weight. I found it easy to make better food choices and to enjoy exercise. Losing 10 pounds has given me the desire to lose more, to be healthier, and feel good about myself." "I would strongly encourage anyone who has a weight problem to try this as a solution. I have tried just diet and exercise to lose weight, in the past, and lost the weight, but I could not keep it off. Hypnosis has helped me to reduce stress and regain self-awareness and rebuild my self-esteem. It's a useful tool in tapping into the 'me' I'm supposed to be. That 'me' is a thin person who is in control of what she eats and how she feels. It put a lot of things into perspective. Also, very rewarding to interact with other people. It's like no other." "I'd been trying to MAKE myself thinner - the way I used to be. I needed to find a way to get to a thinner version of me that I value, that I find pleasurable. I'd never looked at it that way before. Now I can see the light at the end of the tunnel. I know how to help myself change." "After only one session, I experienced the most AMAZING changes in my eating habits. Not once have I reached for a pretzel, chip, ice cream, or any other junk foods. I've eaten only healthy foods in smaller portions - and only at mealtimes. I'm not even experiencing hunger pangs! I have not used food as a comfort. There has been no 'emotional' eating as I used to do. In fact, I'm facing a lot more stressors in a more relaxed way. I have tried every other method for losing weight over the years. Some worked for a while, but I always ended up back where I was. This time feels different." “I Lost Over 15 Inches! After this program, I am so proud of myself. I lost 15 1/2 inches. I was told by my exercise instructor, “no one at Curves ever lost so many inches in [time]!” For once I’m happy to be this month’s “Biggest Loser”! “I Lost 28 Pounds in [time]! I no longer starve myself or skip meals. I don’t feel the need to “fill up”. She ‘Get’s It’... So Clearly in Her Screening, She Looses 3 Lbs Even BEFORE Her First Session! The screening is where you completely change the way you think about yourself, your habits, and other people, too. Between my screening and first session, I lost 3 lbs, before I even had the other tools. I believe it’s because I listened carefully and fully committed to the program that helped me begin to change my mind about food and weight.